Heated swimming pool and spa, playground, fishing pond, television lounge, and free WiFi. 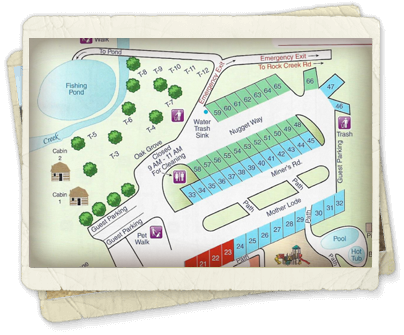 Our RV Park is the perfect destination for families and guests of all ages. We provide a quiet, enjoyable atmosphere that is sure to make you feel at home. 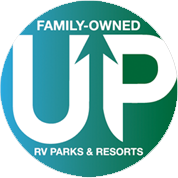 For the comfort and convenience of all our guests, our park is full of some of the finest amenities and facilities available in RV parks today. 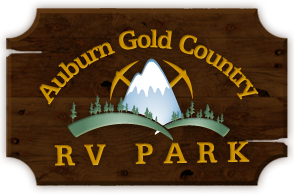 For the RVer, we offer deluxe pull through sites with lengths of up to 60 ft. Our sites come complete with 30 amp or 50 amp and full hookups as well as plenty of shade trees for your comfort and privacy. Our tent sites are also large and placed on level areas. Complete with fire rings, these are perfect for those who prefer to sleep under the stars. To top things off, we offer guests all the comforts and conveniences of home when they stay with us. Our facilities include a television lounge, laundry room, clean showers, and a convenience store for any of those last minute necessities. So be sure to stay with us for a great vacation.